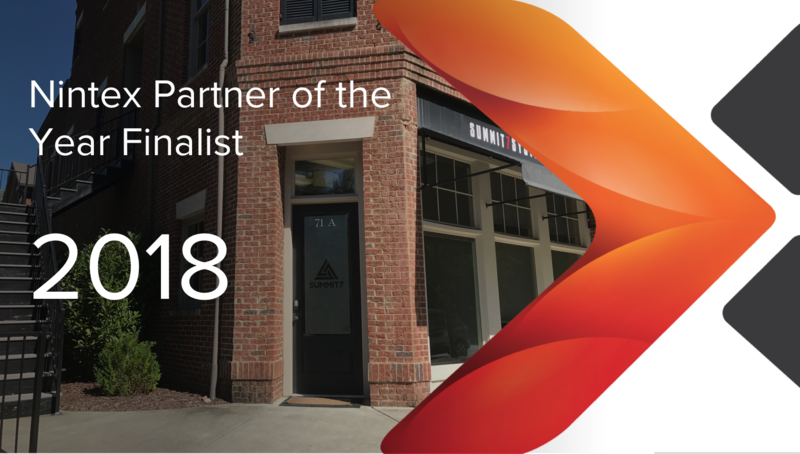 For the past six years, Nintex has proudly recognized their Nintex Partners, the innovative solutions they produce, and the growth they experience using the Nintex Platform. This year, they are recognizing the incredible contributions their channel partners have made in helping organizations of all sizes, in every industry, streamline their work and improve their bottom line. Summit 7 is proud to announce it is one of three finalists within the Americas / Regional Spotlight. Summit 7 is recognized for helping its aerospace and defense clients automate, orchestrate, and optimize their business processes by developing personalized services and solutions using the Nintex Platform. Additionally, companies have benefited from Summit 7's deep understanding of NIST 800-171 and DFARS 7012 compliance when transforming processes. "It is our goal in every project for every client to uncover the idiosyncrasies of their operations to avoid two losses - loss of time and loss of data. Digital transformation does not always translate to efficiency and security. We make sure that these two elements are never an afterthought." Summit 7 is equipping businesses to integrate data silos and enhance processes without breaking security policies and compromising technical controls. By providing these automated solutions, companies are able to focus more on supporting their customers' missions and provide savings to the Government.